*You remember Bill Murray's movie "Groundhog Day," don't you - how each morning his alarm clock keeps going off to Sunny and Cher singing "I've Got You, Babe" as the local puker morning jocks once again remind him that he's about to live the same day of his life all over again? We've had that scene in mind these last few months each time we sit down to write another week's installment of NERW, with what seems to be the same headline week after week about job cuts after job cuts after job cuts. We'll have a few of those to report later in this week's issue - but for once, we have some good news to offer as well: thanks to a flood of listener outcry, ousted WBZ (1030 Boston) overnight talk host Steve Leveille is getting his job back, and on Groundhog Day of all days. What happened? Credit a combination of history and an unusually passionate listener base. The history, of course, is WBZ's long tradition of local talk - and of frigid response to any attempt to replace local talkers with syndicated product. A prior generation of station management learned that lesson two decades ago, when the late David Brudnoy was briefly pulled off the air and replaced by Tom Snyder's national show in the evening hours. This time, it was the painfully generic "Overnight America" with St. Louis-based Jon Grayson that failed to make the cut with WBZ's loyal overnight audience, which flooded PD Peter Casey with what we're told was a pile of angry letters more than a foot high. That was apparently all the ammunition Casey and the local management team needed to persuade the CBS Radio bosses in New York to bring Leveille back, a move that came as a surprise to everyone, Leveille very much included, as the news broke Tuesday afternoon. "I never expected to get a call like that...it's not how the business works," Leveille told the WBZ newsroom as he prepared for his return, which is scheduled for tonight. WBZ is also bringing back another laid-off personality, but Lovell Dyett won't get his longtime Saturday night shift back. Instead, the veteran talk host will be heard for just half an hour in what's probably the station's lowest-profile slot, from 4:30 to 5 on Sunday morning, and he's not happy about it. Will the public outcry over the dismissal of WBZ's lone black talker eventually get him restored to his old timeslot? That doesn't seem likely - indeed, Casey's statement that "we still need a new way to create new revenue for the Saturday night programming hours" suggests that the infomercials that have already begun to infect WBZ's weekend programming are likely to increase over the next few months - and there's already speculation that Jordan Rich's weekend overnight slot could be targeted for changes. *Even as WBZ was welcoming back Leveille - and based on our short visit to our old stomping grounds during our New England swing last week, the move was a big morale boost for the station's surviving staffers - it was saying goodbye to the dean of its airstaff. Gil Santos didn't want the pomp and publicity that surrounded the retirement of his old morning colleague, Gary LaPierre, two years ago. So when he delivered his final sportscast for WBZ at 9:45 on Friday morning, it was a much smaller and more low-key event. Santos' family - his wife Roberta and his children and grandchildren - gathered around him and applauded as he read the last sports headlines, followed by recorded tributes from co-workers past and present and a touching poem from the inimitable Carl Stevens. Santos will still be heard on CBS sister station WBCN (104.1) as the voice of the Patriots, and for the first week after his retirement from WBZ, his morning sports slot will be filled by Bob Lobel, who's become something of a pinch-hitter for CBS (including a few weeks on morning drive at oldies station WODS) since departing his own high-profile gig as WBZ-TV sports director last year. 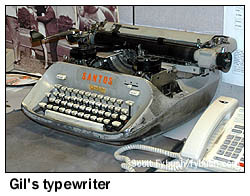 No permanent replacement for Santos has yet been named; it's a safe bet, though, that whoever gets the job will be using a computer to type their sportscasts, instead of the venerable manual typewriter whose click-clack will no longer form the background noise to WBZ's morning drive. There was one more quiet retirement from WBZ last week: after more than 16 years at the station, anchor Bill Watson, who'd been heard on middays and weekends, has departed. Watson came to WBZ in 1992 as part of a large group of newspeople who'd been left jobless when WEEI (where he'd worked since 1981) dropped its all-news format; before WEEI, he spent a decade in Connecticut radio at WELI in New Haven. *So, about that Groundhog Day business - the rest of our MASSACHUSETTS news brings us back to job-loss territory. This time around, it was Greater Media's turn, and the company cited the usual "current economic environment" as it cut 11 jobs from the Boston cluster, three of them from programming and the rest from sales. The programming cuts included WBOS (92.9 Brookline) PD Dana Marshall, who'd come to the station two years ago from WXRV (92.5). She'll be replaced by Ken West, who adds WBOS programming duties to his existing job as PD of WROR (105.7 Framingham), a job that suddenly becomes a little less demanding as that station goes "music-intensive" from 7 PM until 5:30 AM. "Music-intensive," of course, is the polite way of saying, "we just cut two decently-paid on-air positions" - in this case, Julie Devereaux, who was doing 7-midnight, and Albert O, who was on overnights. From the engineering department: Greater Media's WKLB (102.5 Waltham) is operating from a new transmitter site. After many years at the "FM 128" tower on Chestnut Street in Newton, 102.5 has returned to its former home at the WBZ-TV tower on Cedar Street in Needham, running 12 kW/905'. Right now, the Needham site is licensed as an auxiliary, but expect that to change soon. The Academy of the Immaculate has been granted the calls WPMW for its new 88.5 construction permit in Bayview, which will rimshot New Bedford with its 880-watt signal from a site in South Dartmouth. Where are they now? Steve Tuzeneu, late of WVNE (760 Leicester), is now with the Way-FM network of religious stations, based in Colorado Springs. After a stint with Great Plains Christian Radio in Kansas, Steve's now corporate staff engineer for Way-FM. Did you miss it earlier this month? Catch up on a whole year's worth of radio and TV happenings across the Great Northeast, plus a particularly spirited (if we do say so ourselves) Year-End Rant, all on one handy page that will help you remember a year many of us would probably just as soon forget. *It would be nice to say that's it for the job-cut news this week, but there were big headlines from VERMONT, too, where Vox made some big cutbacks at WCPV (101.3 Essex NY). No euphemisms here - "sh*tcanned" was the subject line of the e-mail veteran Burlington-market DJ/programmer Steve "Corm" Cormier sent us announcing that he was suddenly out the door at Fort Ethan Allen after 11 years at the station and a total of 23 years in radio. 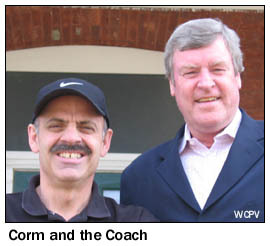 Cormier had moved from mornings to middays last year with the end of his long-running "Corm and the Coach" show, and he was also wearing multiple hats as PD of "Champ 101.3" and operations manager for Vox's Burlington cluster. Production director and weekend jock Doug Grant is now filling the midday slot on WCPV, while afternoons - where Carolyn Lloyd had been heard for the last two years before also being ousted last Monday - are now being filled by Mike Wilhide. "We are watching our expenses," said Vox principal Ken Barlow to the Burlington Free Press, blaming the cutbacks on a "soft market." As for Cormier, who tells the paper his big regret is that he wasn't able to say goodbye to his listeners, he's looking for new work - and reachable at corm55 at aol.com. There's a new signal on the air in the Burlington market: North Country Public Radio, based across Lake Champlain in New York's Adirondack region, has signed on WXLQ (90.5 Bristol), its first Vermont-based signal. Many Burlington-area listeners were already able to hear NCPR (which originates at WSLU 89.5 Canton NY) over its Plattsburgh-area signal, WXLU (88.3 Peru NY). 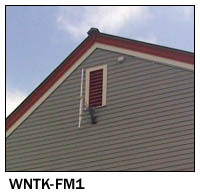 *There's a new FM signal on the air in NEW HAMPSHIRE's Upper Valley - that's WNTK-FM1, the new booster that's extending the reach of WNTK (99.7 New London) into Claremont, running 55 watts from an antenna hung out the side of an attic window. *In MAINE, Gannett's WCSH (Channel 6) in Portland is taking steps to continue to make its local newscasts available to radio listeners who've long been accustomed to tuning in to the TV station's audio signal at 87.75 MHz. That signal will go away when WCSH signs off its analog signal (more later on the possibility of a delay in that shutdown) - but last week WCSH signed a deal to put its TV newscast audio on Nassau's WLVP (870 Gorham) and WLAM (1470 Lewiston). Those AM signals had been running ESPN Radio audio, but they flipped format Sunday afternoon, going oldies as "The Oldies Channel" - but with simulcasts of WCSH newscasts from 5-7 every morning and on weekday afternoons from 5-6:30. Up north, Light of Life Ministries has been granted a CP for a new 65-watt signal on 90.5 in Lincoln. *RHODE ISLAND Public Radio took a big step toward independence last week, as the Rhode Island attorney general's office approved the $2 million transfer that moves WRNI (1290 Providence) and WRNI-FM (102.7 Narragansett Pier) from Boston University, which brought public radio to Rhode Island 12 years ago, to the local Rhode Island Public Radio group. It's been almost five years since BU, then reeling from budget problems at WBUR-FM (90.9 Boston), announced plans to sell the Rhode Island operation - and that prompted Ocean State lawmakers to pass legislation that would have made it economically undesirable to sell WRNI to anything but a local public broadcasting operation. There's a new PD at WHJY (94.1 Providence): Dennis O'Heron moves south to fill the office being vacated by Scott Laudani. O'Heron had been VP of marketing at Clear Channel's WXKS-FM/WJMN in Boston. And over at Citadel, the afternoon shift on WWLI (105.1 Providence) vacated by Charlie Jefferds' firing has been filled by OM/PD Tony Bristol. *More job cuts in CONNECTICUT: at Cox's WEZN-FM (99.9 Bridgeport), Samantha Stevens is gone from the PD chair and the midday shift on "Star 99.9" after four years. No replacement has been named yet. You wouldn't know it from the weather outside, but it's almost baseball season - and the Eastern League New Britain Rock Cats are getting ready with a new radio deal. They'll move from Buckley's talk network based at WDRC (1360 Hartford) to CBS Radio's WTIC, where they'll place a few games on WTIC (1080 Hartford)'s big 50,000-watt AM signal when the Red Sox are off - and the entire season will be heard on WTIC-FM (96.5)'s HD2 subchannel. Games will also be heard on WMRD (1150 Middletown) and WLIS (1420 Old Saybrook). *In NEW YORK, there's another change in the jock lineup at WHTZ (100.3 Newark NJ): night guy Romeo is departing the Clear Channel top-40 station for "new challenges" that he's supposed to be announcing this week - and inbound to replace him is Billy the Kidd, who's been doing nights, as well as APD/MD duties, at Clear Channel's "Kiss" (KHKS 106.1) in Dallas. In good 2009 fashion, Kidd's replacement in Dallas will be...himself, as he will be voicetracking his Dallas shift, and may well be heard in other markets as well. Over at Emmis' WRXP (101.9 New York), founding music director/afternooner Bryan Schock is leaving after almost precisely a year at the struggling AAA station, citing family issues that will have him returning to his native California. No replacement has been named yet. In Rochester, one victim of the Clear Channel cutbacks has found new work: sportscaster Gene Battaglia, who lost his job at WHAM (1180)/WHTK (1280), has signed on with Entercom's WROC (950), where he'll be doing sales and contributing sports commentaries for the ESPN Radio affiliate. Near Buffalo, Greg Chwojdak is hanging up his headphones after more than three decades hosting polka shows. For the last 23 years, he's been doing the Sunday polka show on WXRL (1300 Lancaster), but he'll do his last show there Feb. 15 before moving to the Cleveland area for his day job, as a registered nurse. You won't hear the latest Empire State call-letter change on the air: neither 1330 in Ontario, east of Rochester, nor 1400 in Middletown, an hour north of Manhattan, are broadcasting yet - but they swapped calls last week, returning the Ontario construction permit to WMJQ and making Middletown WYNY. A new noncommercial CP in Lakewood, near Jamestown, has been granted call letters: Muncy Hills Broadcasting will use "WYRR" on its new 88.9 there. And there's another new set of calls: now that Hobart and William Smith Colleges have been granted a CP for 90.3 in Auburn to go along with WEOS (89.7 Geneva) and the unbuilt WITH (90.1 Ithaca), GM Aaron Read has picked the historic - if somewhat mythical - WVWA calls for the new station. Look for "NINE!-ty-point-three" to make its debut on April 1, 2010...by which point your editor may have lived down that night he first played Aaron the legendary "Nine!" tape. On the TV side, there's a new news director at Buffalo's WKBW (Channel 7), where John DiSciullo moves from the promotions department to the newsroom. *It was a quiet week in PENNSYLVANIA - especially out west, where you'd almost think people around Pittsburgh had something other than radio on their minds...something, say, black and gold and now in possession of a record sixth championship? There was some broadcast news related to the big game: PBRTV.com reports that over-the-air DTV viewers in the Erie market - hard-core Steelers territory - had the chance to see the game in HD, even though NBC affiliate WICU (Channel 12) hasn't been operating HD on its own ultra-low-power WICU-DT signal on channel 52. WICU has also been putting NBC programming on the higher-powered signal of sister station WSEE-DT - and for the big game, WSEE used most of its bandwidth to carry its NBC subchannel (35.3) in HD, relegating CBS on 35.1 to SD for the night. Indeed, analog TV signals will be in short supply all over the region come Feb. 18 even if the deadline is nominally extended. The numbers are constantly changing, but at last check more than 700 TV stations all over the country had notified the FCC that they plan to discontinue analog operation on or before the Feb. 17 date no matter what. You can find comprehensive lists at Trip Ericson's RabbitEars.info, here, and at Doug Smith's W9WI.com, here - but in the meantime, we can tell you there's at least one more analog TV signal gone in eastern Pennsylvania, where Allentown public broadcaster WLVT pulled the plug on its analog channel 39 on Friday as it prepared to move WLVT-DT from channel 62 to 39. In Altoona, the "Charlie and Steve Show" at WFBG (1290) is no more - co-host Steve Clark, who'd been on the air with Charlie Weston for a decade at WRTA (1240) and then at WFBG for the last four years, lost his job to budget cuts on Friday. One bit of radio news from the Scranton market: Mark Lindow is out as PD of Citadel's country WSJR (93.7 Dallas), replaced by Keith Michaels. Where are they now? Former WDSY (107.9 Pittsburgh) morning man John Garabo is the latest victim of budget cuts - he's out of his morning gig at KSKS (93.7) in Fresno, California and looking for new challenges. 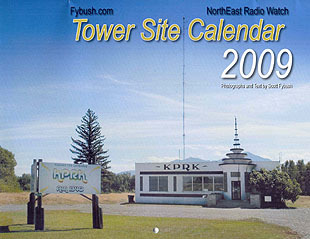 *There's another new noncommercial construction permit in NEW JERSEY - WYRS Broadcasting, which owns religious WYRS (90.7 Manahawkin), has been granted a CP for a second FM signal, with 4 kW on 91.7 in Lakehurst. *In the US, you have to go pretty far west before you find radio stations operated by natiev tribes - but CANADA has "First Nations" stations all over the place, including many small signals in Ontario and Quebec. That number dropped by one Sunday night, though, when one of the oldest tribal stations, CKRZ (100.3 Ohsweken ON) shut down amidst a rising budget deficit. The Six Nations station, located southwest of Hamilton, had been on the air since 1987, but its governing board, the Southern Onkwehon:we Nishinabec Indigenous Communications Society (SONICS), voted on Tuesday to close the station, saying revenues from advertising and its once-popular radio bingo games had fallen below sustainable levels, and the station was left carrying a $100,000 debt. It's still possible that CKRZ could be resurrected under different tribal ownership, but for now the station, whose signal reached northwest to Brantford and northeast almost to Hamilton, is silent. In Toronto, the ongoing cutbacks at Astral Media have claimed the job of 54-year CFRB (1010) news veteran Tayler "Hap" Parnaby. While he'd been semi-retired for several years, Parnaby had continued to anchor the 11:50 AM newscast that traced its heritage back to the legendary Gordon Sinclair - but on Friday, the newscast was gone, and so was Parnaby, telling another former CFRB newsman, Ted Woloshyn, that his "retirement" was not by his choice. "It was clearly part of an economic decision made by Astral Radio," Parnaby said. In Nova Scotia, the Tantramar Community Radio Society has revised the application for a new community FM station on 107.9 in Amherst that the CRTC turned down last year; it will again go before the commission during a hearing March 30. Meanwhile in Truro, the Truro Live Performing Arts Association wants a 5-watt developmental community station on 106.1. More from the agenda for the March 30 hearing - back in Ontario, Rick Sargent wants to convert the license of CFGM (102.7 Caledon) from tourist information to a full commercial station, albeit still with 50 watts. The CBC has resubmitted its application to move CBE (1550 Windsor) to FM, this time asking for 19 kW DA on 97.5 in Windsor and a 10.45 kW DA transmitter on 91.9 in Leamington. In Toronto, United Christian Broadcasters wants to put a new AM signal on 1480 (last used in suburban Newmarket by the old CKAN, now CKDX 88.5) with 1 kW days, 500 watts at night. And in Kingston, we can now put a value on Rogers' buyout of CIKR (105.7) and CKXC (93.5); its deal to buy the stations from John Wright's K-Rock 1057 Inc., in which it was already a partial investor, is valued at C$11 million. A surprise format change in New York - at 4 PM Tuesday, Emmis pulled the plug on smooth jazz WQCD (101.9), relegating "CD101.9" to the station's HD2 channel (which wasn't even on the air at launch time) and replacing it with a classic rock-leaning AAA format (they're calling it "adult rock"), as "101.9 RXP, The NY Rock Experience." It's been a popular parlor game in eastern MASSACHUSETTS radio circles for more than a decade now - when will Greater Media flip formats on its perennially ratings-challenged AAA station, WBOS (92.9 Brookline) - and to what? If you had "February 1, 2008, at 5 PM" in the pool, and "classic alternative" as the new format, congratulations - you've just won something. If, on the other hand, you had "WBOS disc jockey" after your name, the news isn't so good. The newly-renamed "Radio 92.9" has parted with its entire airstaff, with no plans to replace them any time soon. Off the air completely are afternoon jock John Laurenti (late of WHJY in Providence), night guy Dominick Lewis and overnight voice Paul Jarvis, as well as the station's weekenders, including Holly Harris and her Sunday night blues show. Morning host George Knight is gone from that shift, but his Sunday morning show remains in place. And middayer Dana Marshall is off the air, but she drops "interim" from her PD title and continues programming the new station. Even before WBOS made its surprise Friday flip, we were planning to lead this week's column with a Boston format change: last Monday morning (Jan. 28), regular listeners to the conservative talk on Salem's WTTT (1150 Boston), what few there were, awoke to a shock - instead of the lineup that included Bill Bennett, Sean Hannity, Dennis Prager and Hugh Hewitt, WTTT's 5000-watt signal was running Spanish-language religion as "Radio Luz." In just over four years since launching its talk format in November 2003, WTTT never achieved significant visibility or ratings in the crowded Boston talk arena, despite several stabs at local talk and the addition of WBZ castoff Paul Harvey. "Radio Luz" enters a fairly crowded field, too, with Spanish-language religious programming already airing in the market on WESX (1230 Salem)/WJDA (1300 Quincy), but the leased-time programming will at least provide some steady revenue to bolster Salem's bigger signals in town, religious WEZE (590 Boston) and WROL (950 Boston). Speaking of out-of-state religious broadcasters, California's EMF Broadcasting is getting its first toehold in NEW HAMPSHIRE, with a $1 million purchase of WMEX (106.5 Farmington) from veteran New England broadcaster Dennis Jackson. Jackson tells NERW that the station wasn't even for sale when the unsolicited offer came in, and he says the station's oldies format and its staff (including VP/general manager/morning man Gary James) will stay in place until the deal, brokered by Doug Ferber of Star Media Group, closes. The historic WMEX calls will stay with Jackson, for use on another station eventually. It was bound to happen, but inevitability doesn't make today's sign-off of WSNJ-FM (107.7 Bridgeton) any less bittersweet. One of NEW JERSEY's oldest FM stations, WSNJ remained a bastion of old-time radio in a voicetracked, consolidated world right up to the end, super-serving Cumberland County and surrounding portions of South Jersey, Pennsylvania and Delaware with everything from farm news to a swap shop program to lots and lots of local news and information. But (as we learned from an article in Sunday's New York Times) if everything goes according to plan, sometime this afternoon (Feb. 2), the heirs of Ed Bold will receive a $20 million payment for the class B FM facility, at which point they'll pull the plug on WSNJ-FM for good. WSNJ (1240) will stay on the air, eventually changing hands to Millville mayor Jim Quinn, who'll keep its format mostly intact and begin simulcasting it on his WMVB (1440 Millville). As for the FM license, as soon as it's off the air in Bridgeton, it'll be transferred to Radio One, which will move it to 107.9, downgrade it to class A and relocate it to the Philadelphia suburb of Pennsauken, transmitting from the WKDN (106.9 Camden)/WTMR (800 Camden) tower. How soon will that happen? We're hearing everything from the end of this week (unlikely) to the end of the year. It's hard to imagine that the removal of this unique local service to the relatively underserved Cumberland County area, in exchange for yet another generic service in the crowded Philadelphia market, is really what anyone at the FCC means by "localism," and it's a shame that none of the proposals currently on the table to improve "localism" in broadcasting would close the "WSNJ loophole," and that's a shame. We'll start our New England report this week up in MAINE, where Hearst-Argyle is spending $37.5 million to add WMTW-TV (Channel 8) in Poland Spring to its portfolio of stations in the region that already includes fellow ABC affiliates WCVB in Boston and WMUR in Manchester NH, as well as NBC outlets WPTZ Plattsburgh NY -Burlington VT and WNNE White River Junction VT.
Up in CANADA, the CRTC was busy handing out new licences last week: in Trenton, Ontario (now known as Quinte West through the miracle of governmental consolidation), CJTN gets to move from 1270 AM to 107.1 FM, where it'll run 3640 watts; in Pembroke, Standard's CKQB (106.9 Ottawa) gets an Ottawa Valley relay on 99.7 with 45.2 kW; and in the Mauricie region of Quebec, the Cooperative de solidarite radio communautaire Nicolet-Yamaska/Becancour gets 34 kW on 90.5 to serve the Becancour/Nicolet area with community programming. So much for a third public radio voice in Buffalo, NEW YORK. The Western New York Public Broadcasting Association announced this week that it will cease programming WNED (970) in mid-February, switching the station to a simulcast of SUNY Buffalo's WBFO (88.7). WNYPBA has owned 970 since 1976, when it bought the former WEBR (and its sister FM station on 94.5, now WNED-FM) and turned WEBR into an all-news operation. For a while, WEBR was one of the finest public radio newsrooms in the country. A few years ago, though, WEBR dropped the all-news format, changed calls to WNED(AM), and switched to a more traditional public radio news/information format. WNED had fallen on tough times in the last few years, a victim of WNYPBA budget problems brought on in part by the decision, under previous management, to invest much of the association's resources into the construction of a huge new studio/office building in downtown Buffalo. (NERW notes that the debt from that building was also cited as a reason when WNYPBA put WNEQ-TV, Channel 23, up for sale last year). WNED(AM) employed five full-time staffers and six part-timers. WNYPBA officials say they'll try to find other jobs within the company for them. Meantime, Buffalo listeners will lose the daily "Live @ Noon" talk show, weekend All Things Considered, overnight BBC broadcasts, "The Connection," and "Marketplace," among other 970-only programming. As for 970's long-term future, WNYPBA president Don Boswell tells the Buffalo News he'll consider an LMA for the station, but doesn't plan to sell the station, in hopes that it will be valuable if IBOC digital radio becomes a reality (NERW notes that the DA-1 signal on 970 has a very tight pattern that does well in downtown Buffalo and up towards Niagara Falls but is unlistenable in even Buffalo's nearby eastern and southeastern suburbs). Peter Arpin's ADD Media is buying again in MASSACHUSETTS. ADD already owns WRCA (1330 Waltham) and WJYT (1320 Attleboro). It's been programming WLYN (1360 Lynn), and now it's making it official by buying the station from Paul Feinstein's Puritan Broadcasting for $1.06 million.